Questions feature in every debate, and usually the main point of interest is who gets to ask them. The questioner ranges from moderator to media panel to live audience to virtual audience – or a combination of these in a single debate. The recent set of English-language Irish debates featured two debates with moderator questioning, and one debate with live audience questioning. It is the live audience debate, the second debate, that is the subject of this piece, because there was subtle but important variation to the questioning planned by host Pat Kenny and broadcaster RTE. The variation to standard audience questioning was that each questioner told a story as part of their question. Their story provided real context and meaning behind the questions. The questioner demonstrated through a more expansive engagement with the host a real concern about their society, their family and friends. In many cases we felt the emotion of the questioner. This approach made more sense of a live audience than the usual approach where the questioner simply asks a question. 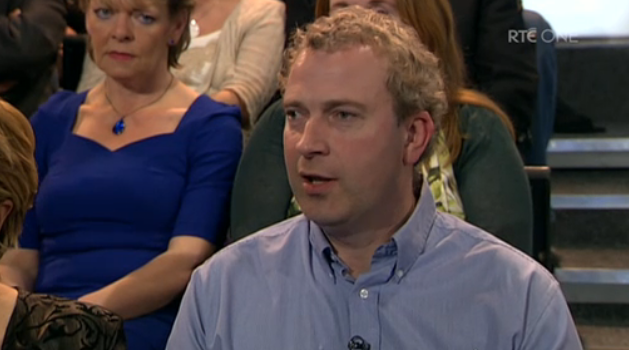 Around seven people got to ask questions in the RTE debate. These people were non-aligned and selected by an independent polling company. The first question, from Finnian O’Driscoll (right), began with a story of how his three children have had to emigrate for work. 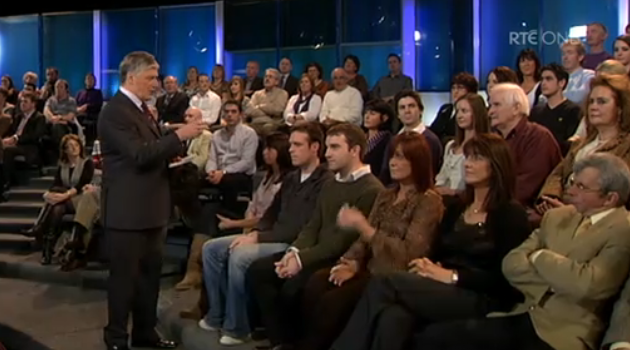 Through interplay with host Pat Kenny, over the course of a minute, Mr O’Driscoll expressed his concern that his grandchildren would never live in Ireland before asking the question “now that we’ve lost our sovereignty and economic welfare have any of you got any meaningful or tangible reasons why Ireland can survive?” It was a minute well spent: it told a story; it provided a context. (This question commences at the 2 minute 50 second mark, watch the debate here). The second question, from Natasha Byrne identified mortgage stress amongst friends as a major cause of concern before questioning leaders about why banks were bailed out while ordinary people continue to struggle. That question preceded the lengthiest discussion of the night. The third question, from Seamus McGee (left), was prefaced by a discussion about community groups in rural Ireland. Mr McGee reflected on his local Gaelic Association club and how a few years ago many of the lads had good jobs as painters and builders, while these days many are unemployed and now emigrating. He then went onto ask “how are we going to get these people back to work?” His question was based on concern about his friends and community. (This question commences at the 24 minute 20 second mark). The remaining questions followed a similar method, to similar effect. Predictably, most questions were focused on the economic situation. The approach to questioning described above ensured that we heard a very human story about the Irish economic collapse. We’ve seen politicians employ personal stories to get their messages across. Bill Clinton was a master of story-telling, and John McCain’s invocation of Joe the Plumber in one of his presidential debates became an election story within its own right. Stories are personal and they are memorable. There is much academic research about their impact in communications and that’s why politicians use them. In this debate, it was the audience – the voters – who owned and used the stories, not the politicians. 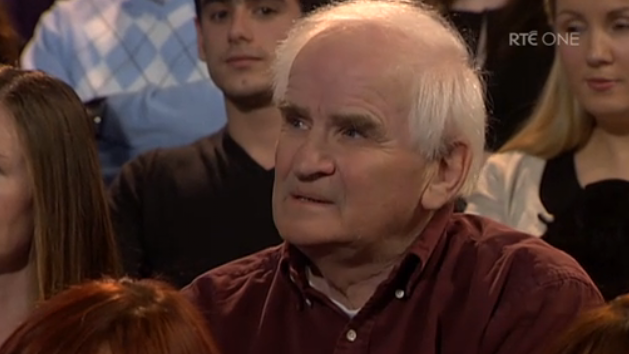 Pat Kenny’s approach to live audience questioning in election debates is a good one. We hope to see it employed elsewhere.